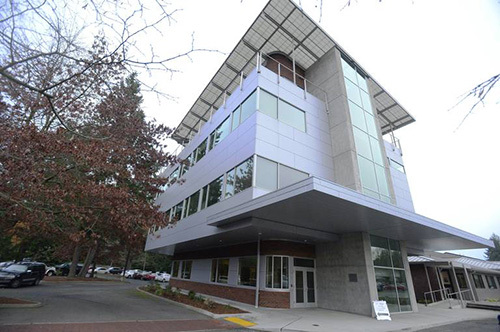 South Puget Sound Community College says a recent gift worth $1.2 million, the largest in its history, will help it expand in-demand health care programs such as nursing and medical assisting in the coming years. The college recently bought a four-story building across U.S. Highway 101 from its campus in west Olympia for $4 million from the estate of Dr. Angela J. Bowen, a well-known physician and philanthropist who died in 2017. The estate provided the college with an in-kind contribution of $1.2 million. A college spokeswoman said the purchase, which was finalized in late November, would have been out of reach without the gift. The four-story, 24,000-square-foot building on Heritage Court Southwest is expected to open to students in fall 2021 as the Dr. Angela Bowen Center for Health Education. Two floors are currently leased to Olympia Orthopaedic Associates through next year and will then undergo an extensive renovation. South Puget Sound Community College bought the building near U.S. Highway 101 with help from the estate of Olympia philanthropist Dr. Angela Bowen.